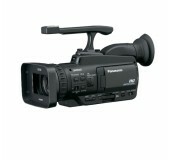 Great looking HD video recording with easy USB file transfer to iMovie, Premier, or Final Cut for editing. Only 2 lbs! 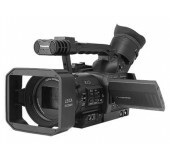 A great 16:9 24p video camera at a reasonable price. 24p & 30p modes for cinematic flexibility & 2 XLR audio inputs. 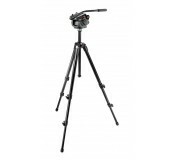 This tripod rental works with all of our video cameras. A universal mounting plate for all prosumer cameras is included.